Shop for other deals, but these are what I’m currently using. For guidance on how you can use Facebook Live to stream (and potentially later edit) video, see Replay: Workshop on Facebook Live with John Haydon, author of Facebook Marketing for Dummies and a collection of several other tutorial and editorial blog posts on our website tagged fblive. YouTube Live (formerly known as Hangouts on Air) also allows you to broadcast live video, which will subsequently be published to your YouTube channel. As with Facebook Live videos, your YouTube Live videos can be downloaded, edited, and uploaded again in their new, improved incarnation. 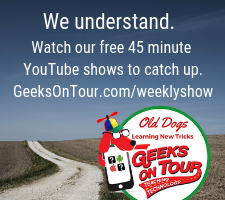 Free video editors available to you include the one in the Photos app on Windows 10 and the Google Photos app for iPhone and Android (see the Geeks on Tour videos embedded below). On the Mac and iOS, you get a powerful video editor known as iMovie (see separate blog post with a tutorial on iMovie for Mac). There is also a basic editor (sufficient for trimming the beginning and end of a clip) in YouTube Studio. The Windows Photos and Google Photos apps are particularly good for allowing you to create simple videos without overwhelming you with too many features and options. Their default use is to help you stitch multiple still images together into a video with music, but they also allow you to edit video clips. The tutorials below were created by Online Presenters members Chris and Jim Guld of Geeks on Tour, whose business revolves around education on technology for travelers. These videos are from the members-only section of their website, but the Gulds gave permission for me to share them as part of this workshop. For more elaborate editing projects, I use Camtasia (also the choice of several other Online Presenters members), a video editor that is particularly popular with people who create screen recording videos and educational content. Tasks that would be difficult or impossible to accomplish with Windows Photos can be accomplished with Camtasia — with the trade-off that Camtasia is also more complex. Also, Camtasia is not free. Mac users should be able to do almost everything you can do with Camtasia with iMovie — although Apple reserves some pro features for its (not free) Final Cut Pro product. I recommend establishing a YouTube brand account and a Facebook page as the place to publish club video because that way multiple club leaders can be authorized to publish to the same feed or channel. Twitter doesn’t distinguish between brand and personal accounts in the same way. One Twitter-specific restriction is that, just like you can only post short messages, you can only post short videos — less than 2 minutes, 30 seconds. Even if your video is within that limit, the Twitter user interface will encourage you to trim it further (with their own web-based video trimming tool). To make your YouTube or Facebook video stand out better, take time to optimize the title and description. Also pay attention to the thumbnail or preview video that has automatically been selected by the software. 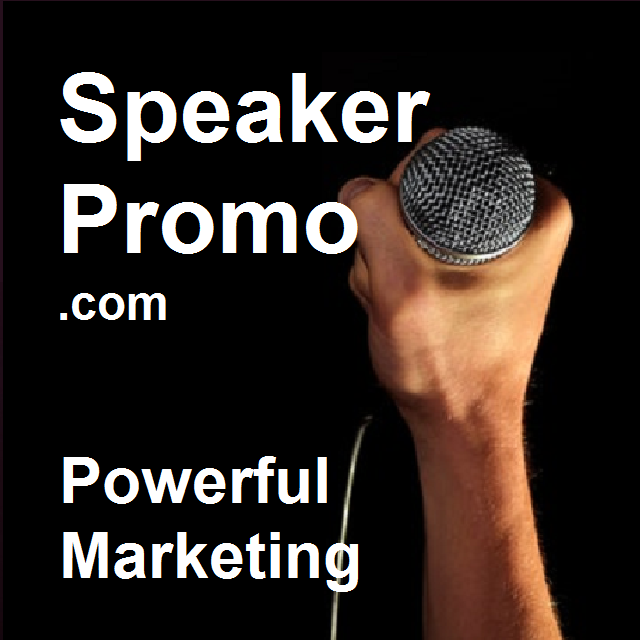 If it doesn’t represent the video well (for example, if it is showing the Toastmaster of the Day or Contest Master rather than the speaker), you can change it to one of the alternative selections or upload a still you selected yourself. I mentioned that YouTube now creates its own basic video editor (perfect for making a quick trim of something you’ve already posted online): tutorial video here.